Trees invoke feelings deep inside us. Have you ever felt how quiet a forest feels; almost like standing in an empty, quiet church. Or sometimes we feel sad when we plant a tree for a deceased one in an arboretum. We have memorial trees, here, but they make us smile and relive fun moments with loved ones. 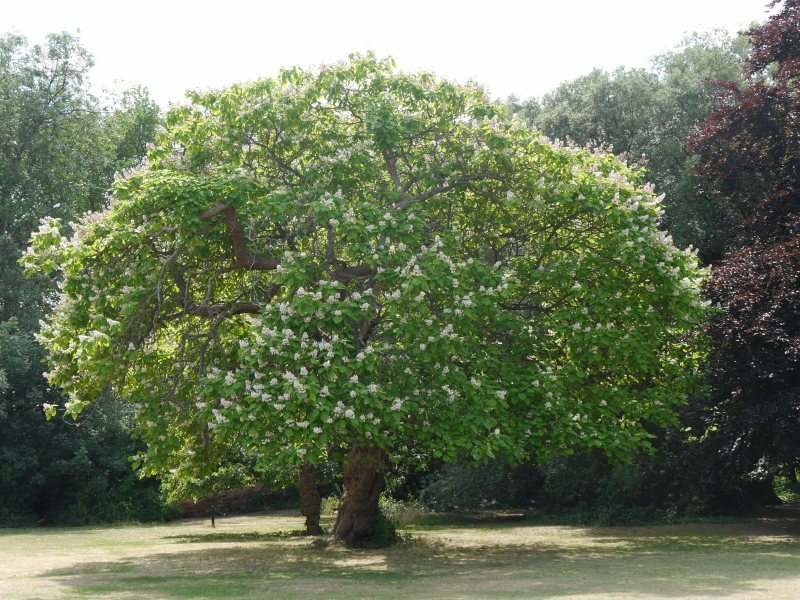 One such tree is our beautiful Northern Catalpa. Every summer when she blooms we remember Grandpa Bill and smile and recount the story as we have coffee admiring the blooms. Twenty years ago, Grandpa Bill, had an oddly shaped Catalpa in the backyard. Every year his wife would shout at him to chainsaw down that misshapen tree but Bill would say, ‘ Look how beautiful it is blooming. Let’s wait till it has finished flowering before we saw it down. ‘ Of course, it got hot then and maybe we should wait till the Fall to chop it down. This went on for many years and the tree still remains in the backyard – misshapen. Bill passed away and before the house and property were sold we dug up some baby Catalpa and transferred them to our house. 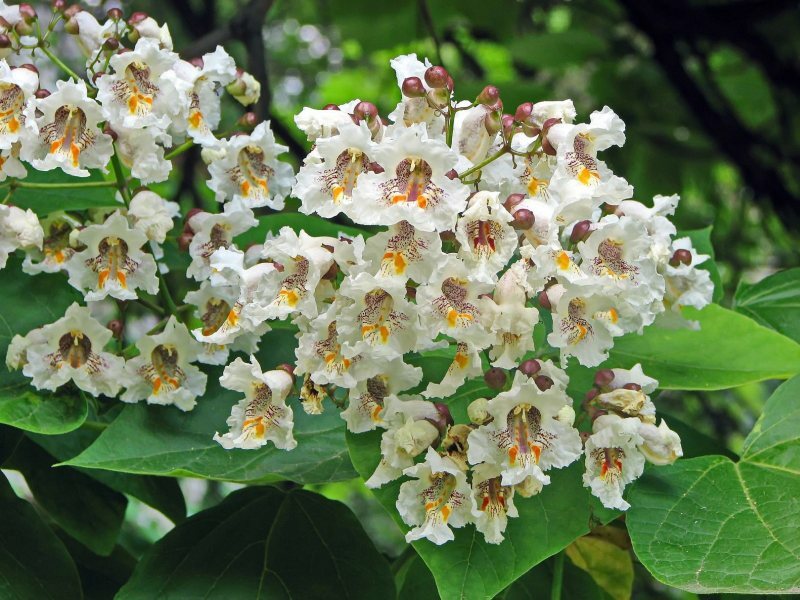 Four are placed all around the house and when they bloom his grandchildren remember Grandpa and his Catalpa. There are no tears, just smiles, as we retell the story. The story never seems to get old. So you see, memorial trees need not be a sad affair. I think they remind us of loved ones; it is up to us what feelings the tree will invoke. « Previous Article Market Minute: VanDenbroek Farm’s Wagon is Back!